Have A Member Of Our Team Discuss Your Project With You Today! Our system is ideal for any business that generates sales leads from their websites. Our system is a powerful lead management system that seamlessly integrates with multiple platforms to automatically capture sales leads. Lead assignment is determined based on specific criteria and ensures that every sales lead is accounted for by the assigned salesperson. Make informed marketing related decisions with our system help. Our system grants you the confidence to spend money on marketing efforts that yield the best results. Convert more leads to sales. A Premium, Proudly South African System. 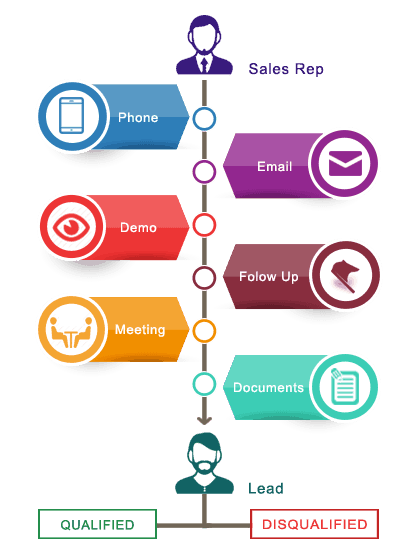 Our System keeps track whether sales leads were contacted and how long it took for a salesperson to contact them. This increased accountability will improve lead response time and ultimately improve your lead conversion rate. Receive automatic summarised reports to gain invaluable insights regarding lead acquisition and lead conversion.